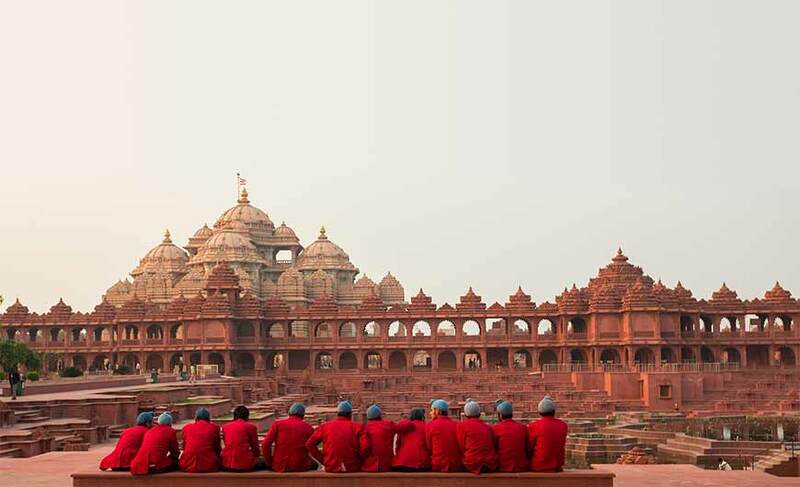 Located ideally across the Yamuna River and adjacent to the 2010 Commonwealth Games village in eastern Delhi, Swaminarayan Akshardham Temple is one of the most famous temples of India. Sprawling across acres of land, the temple beautifully reflects the rich Indian culture encompassing ancient traditions, craftsmanship and spiritual messages. It also symbolizes the enchanting art and architecture of the country. It is a spiritual and cultural center marked with 20,000 statues of devotees, acharyas and sadhus. Its intricately carved pavilions, arresting sculptures, refreshing lawns adorned with water fountains will surely leave you awestruck. The temple was built by the Bochasanvasi Aksharpurushottam Swaminarayan Sanstha (BAPS) in the year 2005. Around 3,000 volunteers and 7,000 artisans contributed to its construction. 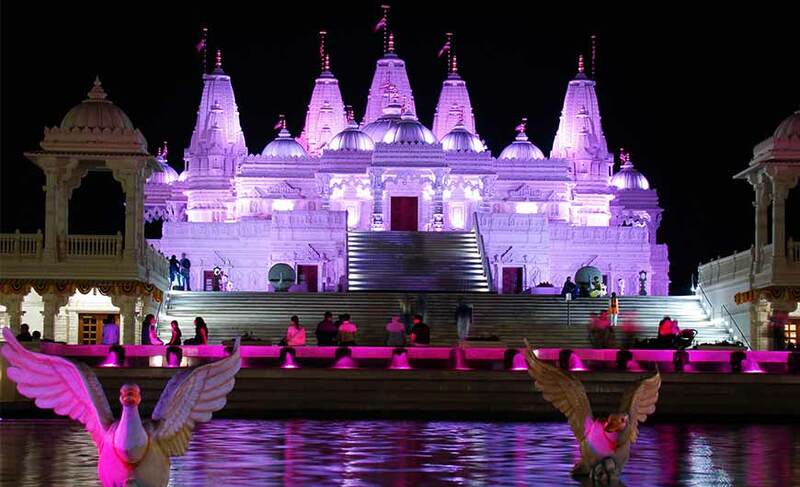 The main monument of the temple is around 114 feet high and has a huge statue of Lord Swaminarayan. 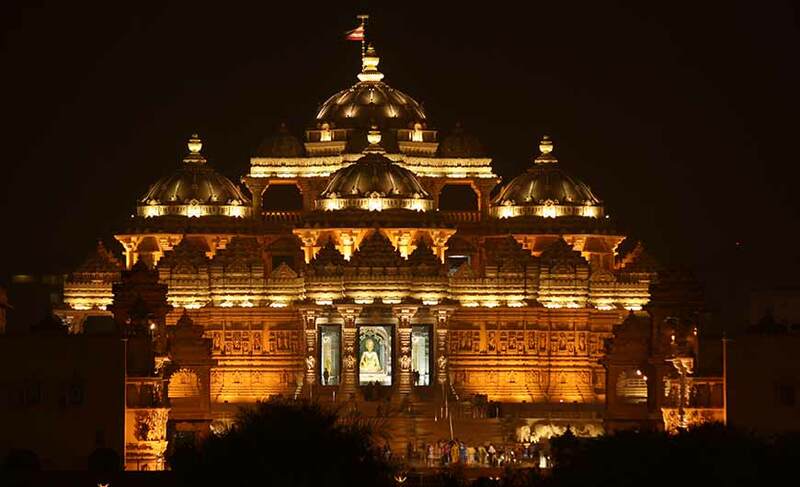 At 0900 hrs, our representative will pick you from the hotel in Delhi and you will be driven to Akshardham. It is a beautiful tradition in which prayers are offered for happiness of all and world peace. The waters of 151 holy rivers, ponds and lakes of India are used while performing this tradition. Great films and robotic shows (50 minutes) are shown in this hall, representing human values like spirituality, harmony, honesty and non-violence. Explore the varied aspects like spirituality, culture, festivals, art, and architecture of incredible India through the 40 minutes story of an eleven year old yogi named Nilkanth. This 15 minutes boat ride on an artificial lake takes you to 10,000 years of India’s glorious heritage. You will learn about the ancient discoveries and inventions of the country, have a look at the world’s first university of Takshashila and take a ride through Ajanta-Ellora caves and know about what India has contributed to humanity through the ages. 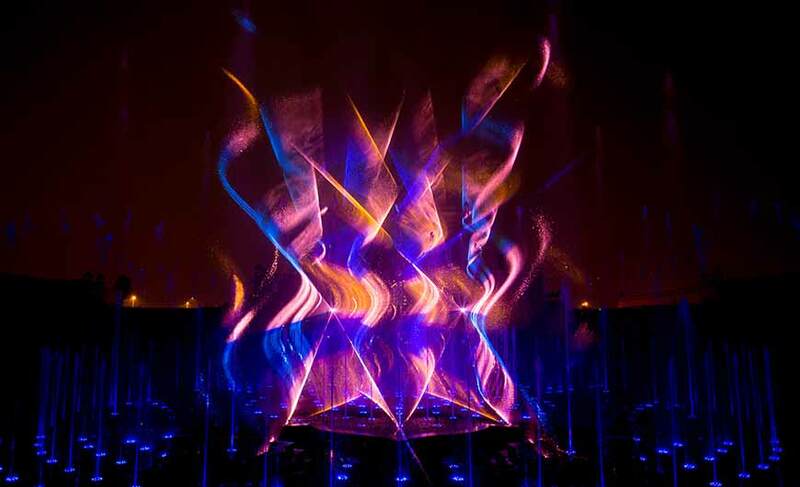 Treat your senses with dazzling musical fountain show depicting the cycle of birth, life and death as explained in Indian philosophy. Let your senses lose in the charm and freshness of lush gardens, lawns which are dotted with exquisite bronze statues in the honour of Indian child heroes, warriors, patriots and famous women personalities. There is also a lotus shaped garden epitomizing spirituality. The temple complex also has a huge food court where you can enjoy several delicacies. The complex also houses a souvenir shop offering religious books, herbal medicines and many other interesting items. Visiting this grand temple is an experience in itself. At 1700 hours, transfer to your hotel.